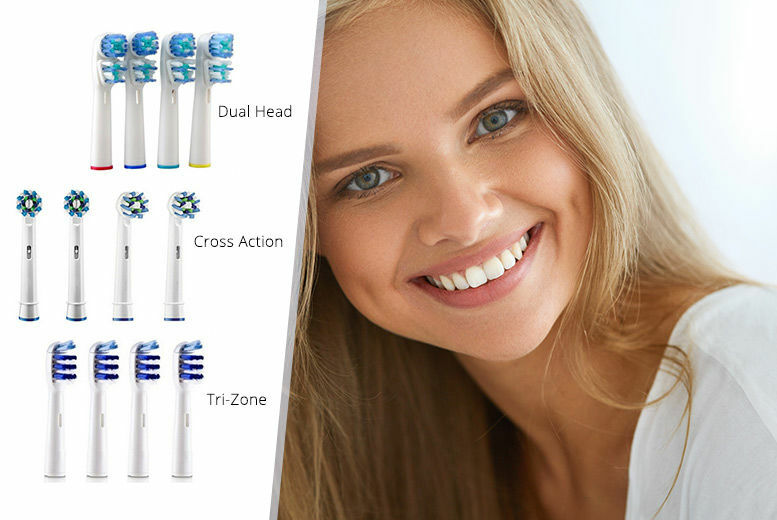 Get a pack of eight Oral B-compatible toothbrush heads. Dual head, cross action or tri-zone. Changing heads regularly aims to promote healthy teeth and gums!